I had mentioned in a previous post that the squid are in far more abundance in the hotter months but tend to be smaller. This day was a prime example. We tried everything earlier in the day, no fish and no live bait. We switched to the the squid jigs and over the next hour, it was basically every cast or second cast that we were on. I used the small jig again as there were plenty of small ones about, and we were fortunate enough to hook up on a big arrow squid as well. 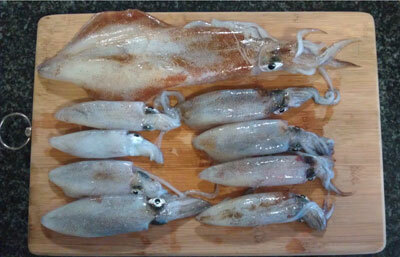 Before I get questioned, there are no size limits on squid, only a daily limit of 20. The small ones are gun bait for the larger species, or they can be stripped for the smaller fish like bream.